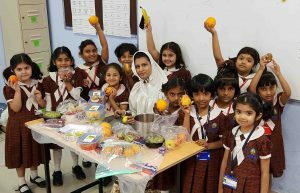 As rightly said, ‘A day without a fruit is a day without a shine and ‘A fruit a day keeps the sickness at bay’ echo the perfect notion of including fruits as part and parcel of our nutritional intake. 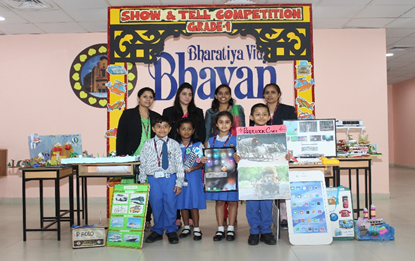 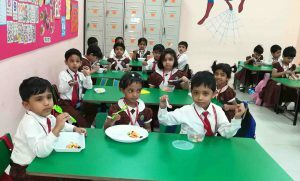 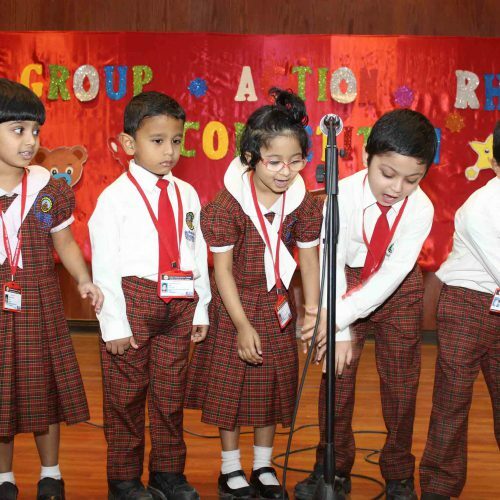 Taking this as theme, Bhavans Smart Indian School Kindergartners took pride in celebrating the moments well spent with preparing, cherishing and relishing the fruits that they brought on this “Fruits Salad Day”. 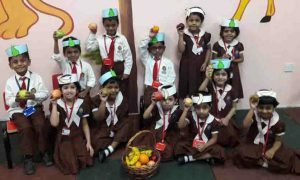 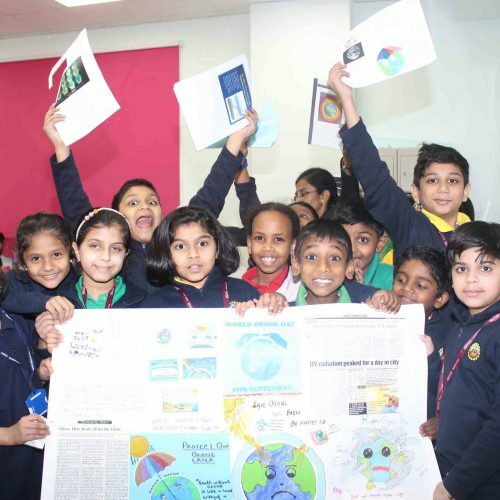 This event enabled kids to inculcate the knowledge on each nutrition. 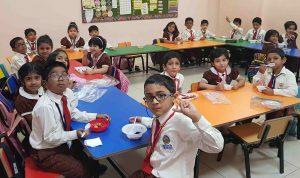 They enjoyed themselves in making their own salads on 30th September 2018. 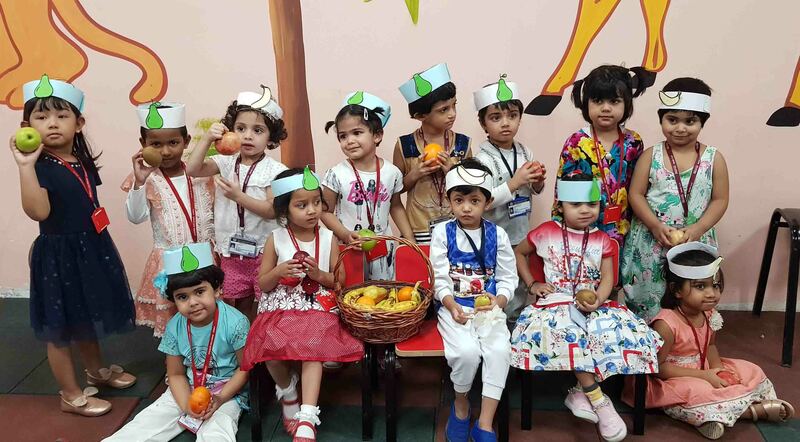 The importance of fruits, its beneficial value in every day’s addition to the major supplement of nutrition and its inevitable life saver mode were highlighted. 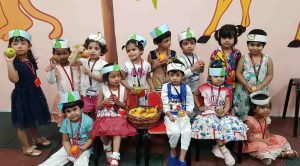 The happiness that rested on toddler’s face to grab the fruits of different hues when they were taught about the healthy values in it created a whole range of delight in making and having it. 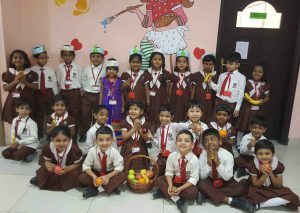 The photo session was followed with the children carrying the basket of fruits with them. 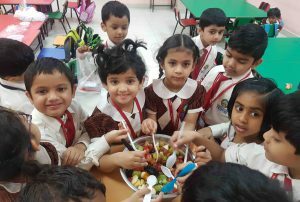 The activity led them to the world of sensation like texture, taste and shape. 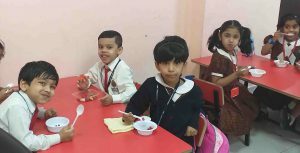 The rudimentary habit of eating it after having washed thoroughly was imparted on this day of healthy eating system.